The impact factor in a year N is the number of citations in that year of papers published in the years N-1 and N-2, divided by the total number of papers published by the journal in those 2 years. The impact factor of "Celestial Mechanics and Dynamical Astronomy" in the past year (2012) was 2.319, an all-time maximum. 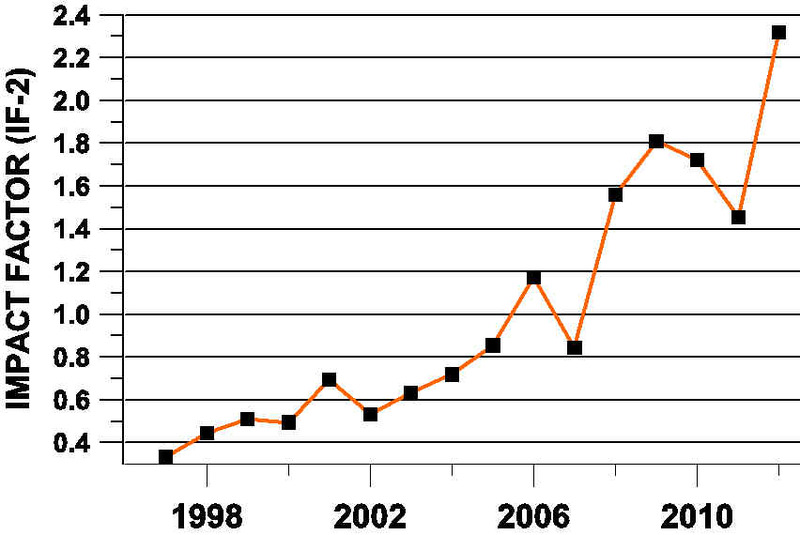 The impact factors IF-X in a year N are given by the number of citations in that year of papers published in the years N-1 to N-X, divided by the total number of papers published by the journal in those X years. 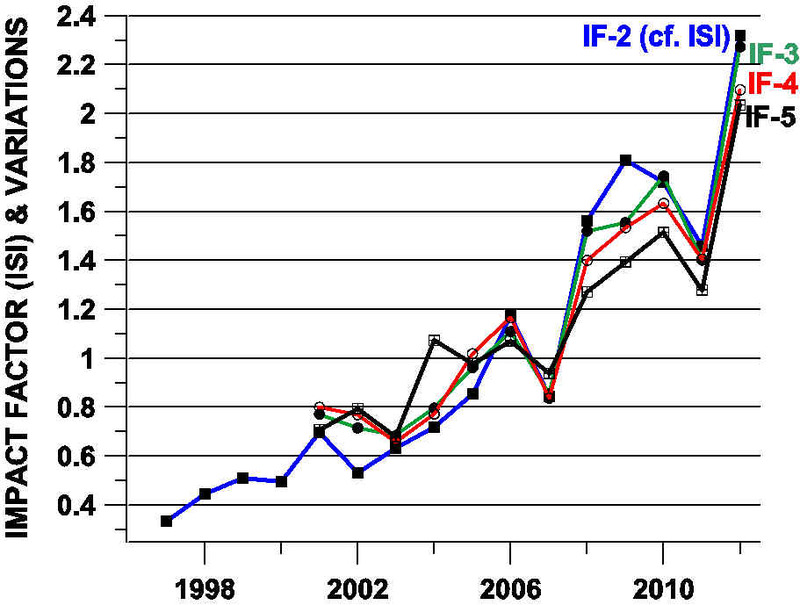 The IF-5 is the 5-yr impact factor introduced in 2007 by the ISI. It was computed for the years prior to 2007 with the data taken from the ISI Journal Citation Reports since 2001. The impact factor IF-5 in the past year (2012) was 2.035. The impact factor does not take into account the lifetime of the papers published in the journal. The half-life of the papers published in "Celestial Mechanics and Dynamical Astronomy" i s > 10.0 years. In Astronomy, there are only 12 journals (out of 56) with half-life > 10.0 years. In the JCR 2012, Celestial Mechanics and Dynamical Astronomy appears in two comparative journal summary lists. In the list MATHEMATICS, INTERDISCIPLINARY APPLICATIONS it appears in rank 9 (out of 92 journals). In the list ASTRONOMY & ASTROPHYSICS it appears in rank 24 (out of 56 journals)..